Maruzen is a small ryokan, with only 7 rooms, which is located at South of Toba, called Ohsatsu-cho. The lead hostess is an active Ama (a female diver who collects shells, seaweed and other seafood). At this modern ryokan, you can enjoy fresh seafood, which she catches at the nearby ocean. Ohsatsu-cho is well-known for Ama and its fishier-men/women town, also the town is very accessible to famous Grand Shines of Ise. 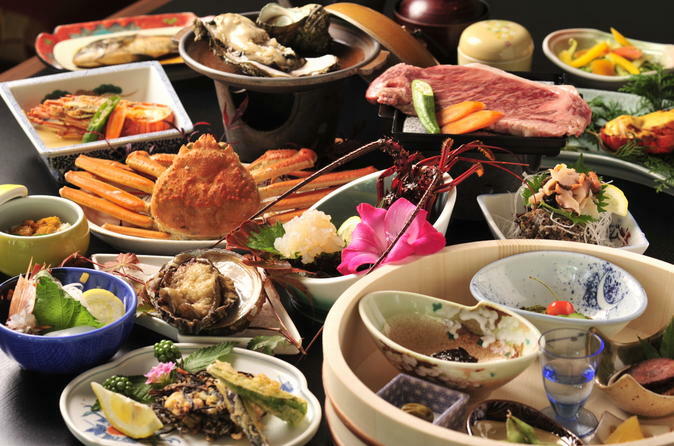 The best thing about staying at Mruzen, is that you can enjoy plenty of fresh local seafood like Ise-Lobster, kuro-awabi (black abalone) and turban shell. Please fill your stomach with delicious and rich seafood and relax at this modern ryokan.